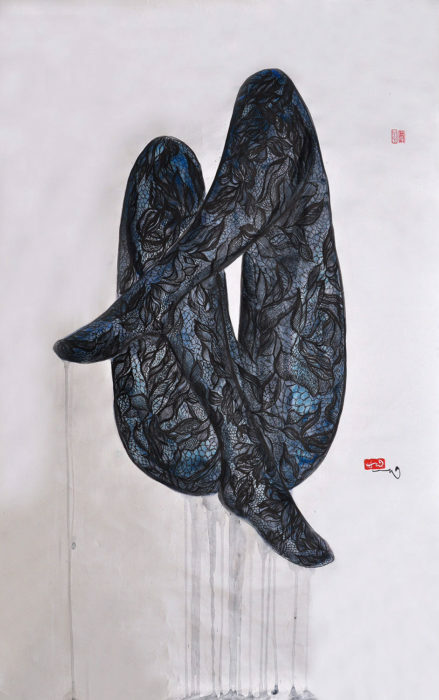 Wai Hong, is a calligrapher and painter born 1982 in Shanghai. She lived her life between Macau and Taiwan before arriving in Paris in 2005. 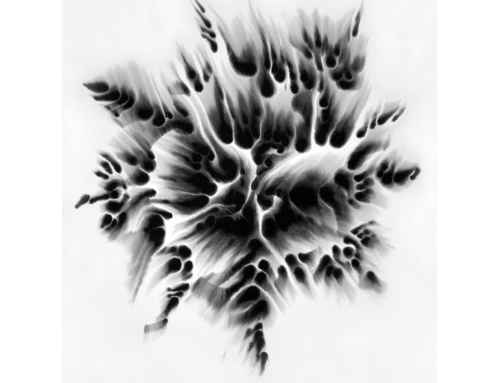 She formed herself over these years in traditional Chinese ink painting with a western artistic education. Hong has a way of transforming the ordinary into something unique and astonishing. 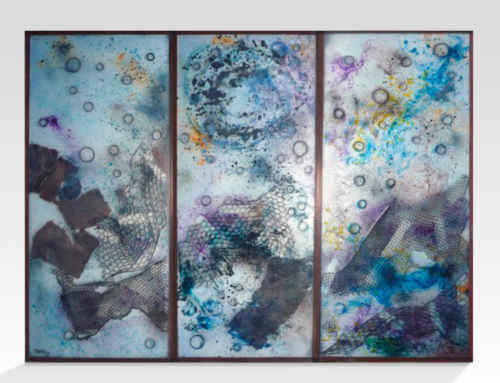 What brings her art work to life is a transmedia approach, a historical technique and an inspiring story. 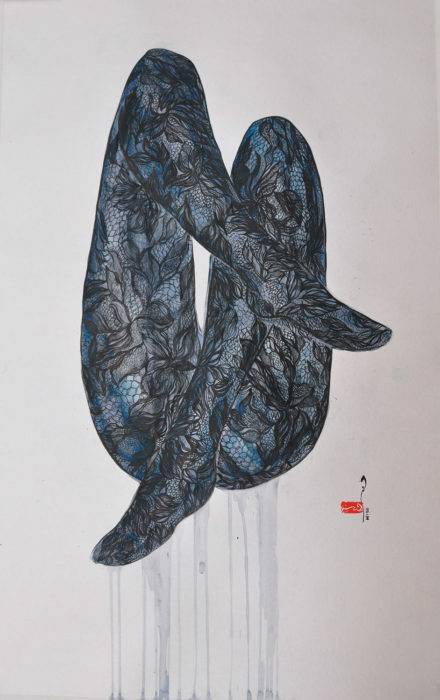 Her use of traditional Chinese ink creates a contemporary twist to her art, which often conveys a secret, sensual, and feminist story. 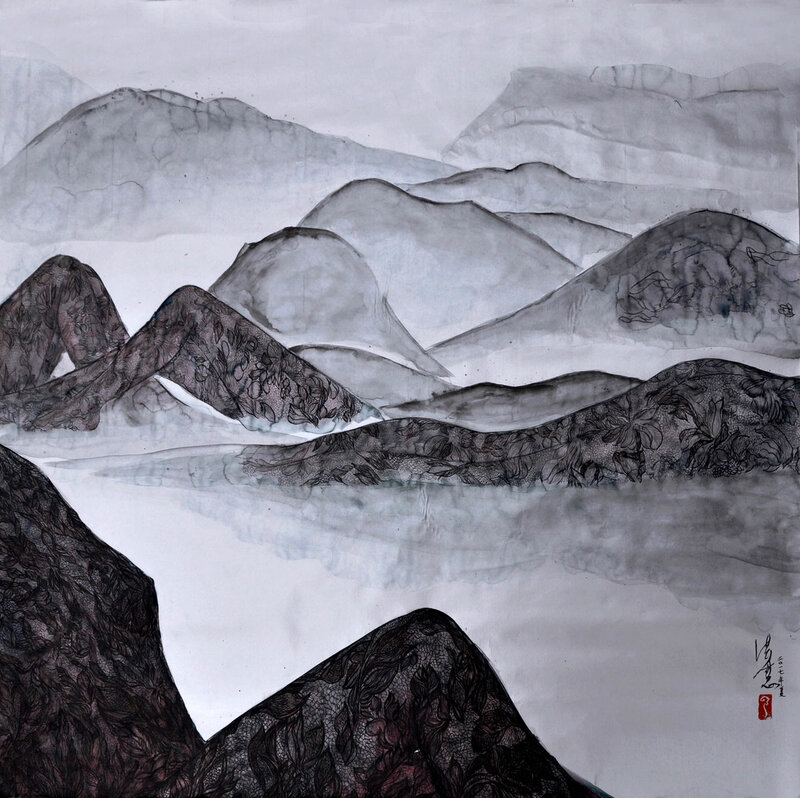 Her “Feminine Landscape” series, the “mysterious female” of Taoism, shows – what at first appears to be – mountain and river landscapes. 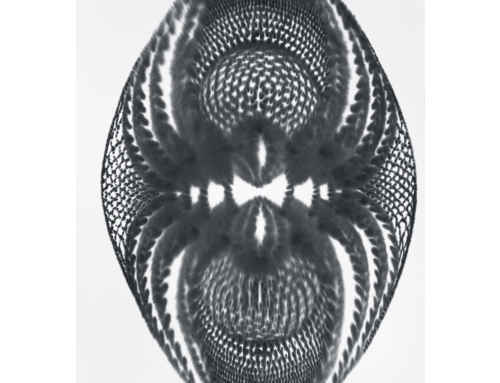 Yet when looking closer, one can see the hidden lace and intricate. Landscape painting is still regarded as the highest form of art in Chinese culture, however, is traditionally highly dominated by men. 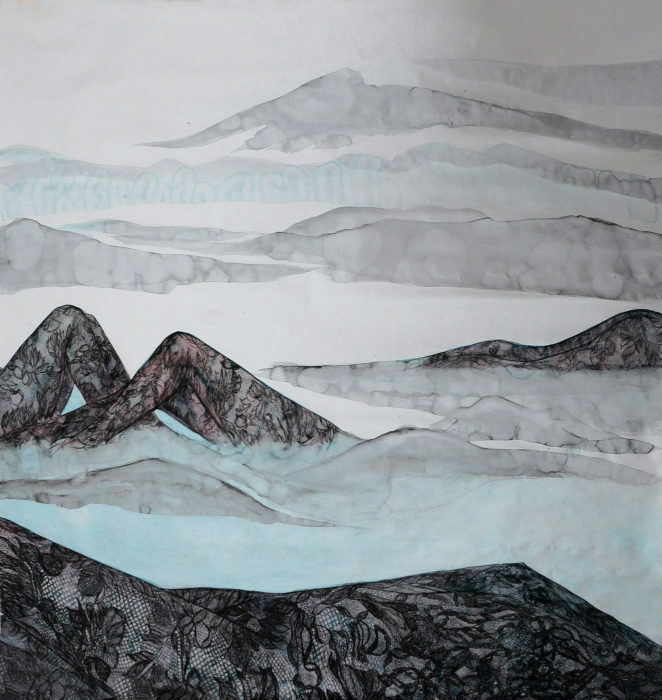 In this series, a female body dressed in lingerie is transformed into a traditional Chinese landscape composition: the mountain and water landscapes become interlaced bodies; the ode to heaven and earth become an ode to sensuous, hidden and inescapable “yin”. 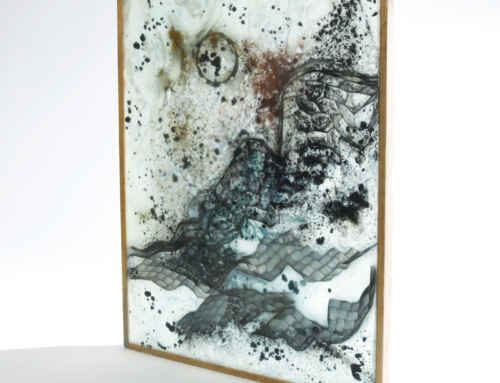 Since her first solo exhibition at the age of 17, Hong has exhibited across the globe. 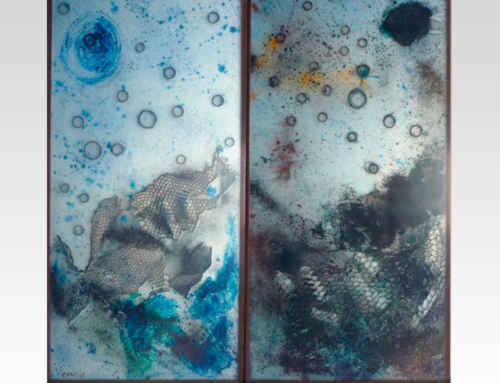 Her artwork has been included in Sotheby’s Gallery in Hong Kong, Art Stage Singapore, Art Taipei, and showcased throughout Paris, Zurich, New York, Miami and Montréal.